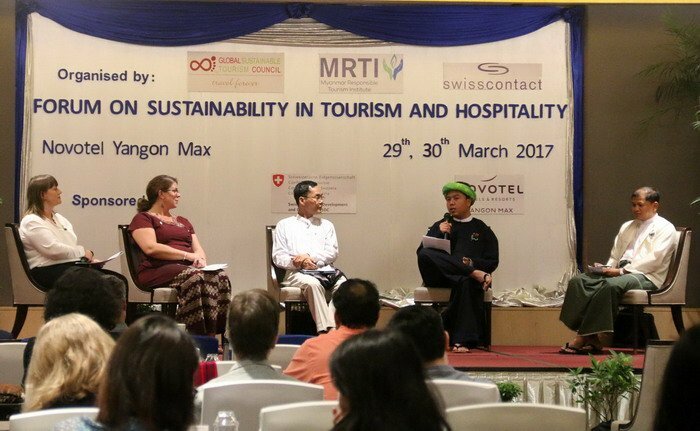 29 March 2017 – Swisscontact, the Myanmar Responsible Tourism Institute (MRTI) and the Global Sustainable Tourism Council (GTSC) have jointly organized the first-ever “Forum on Sustainability in Tourism and Hospitality in Myanmar” in Yangon, Myanmar (March 29-30, 2017), an event for mutual learning and knowledge-sharing about sustainability in tourism. 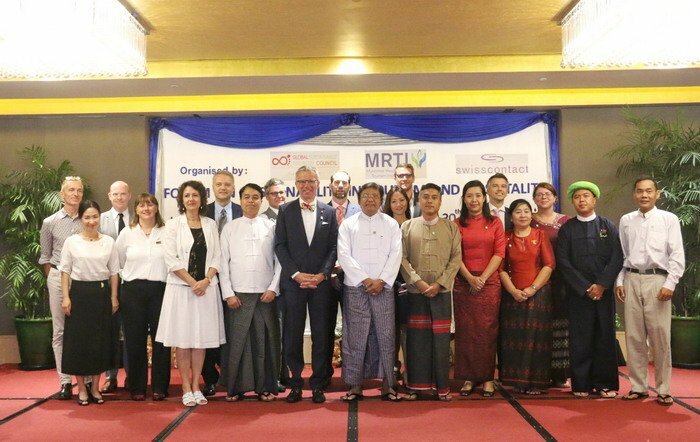 The event has been co-financed by Novotel Yangon Max and the Swiss Agency for Development and Cooperation (SDC) in Myanmar. This year has been declared the “International Year of Sustainable Tourism for Development” by the United Nations and it is therefore the right time to raise further awareness of this important issue in Myanmar, where tourism is growing at a very fast pace. It is increasingly important that key tourism stakeholders become familiar with the GSCT Industry criteria for sustainability and learn about good sustainability practices in the region. Sustainable tourism is a driver for job creation and provides long-term benefits to both the private sector and local communities. 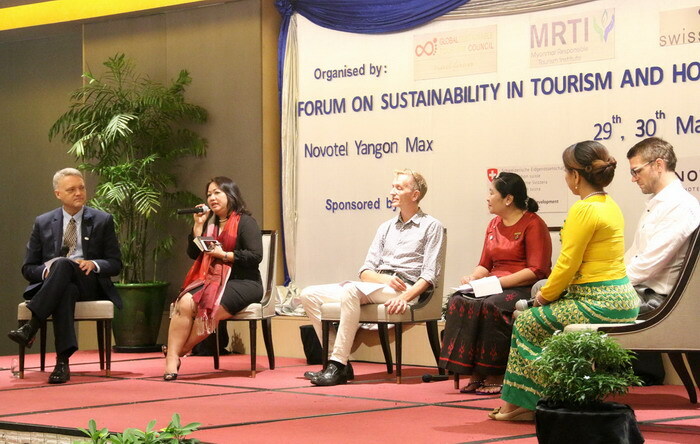 Discussing sustainability in tourism goes beyond the implementation of green practices in hotels. 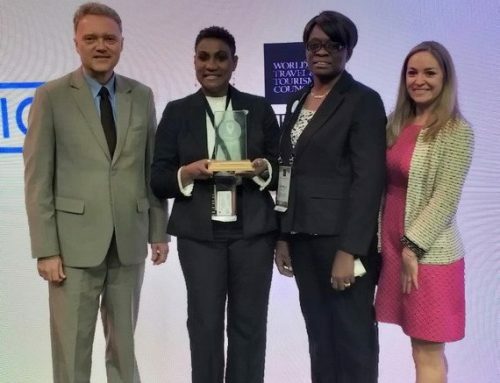 Matters regarding gender equality in the workplace, women occupying management positions, as well as decent work, are cross-cutting issues that are intrinsically embedded into discussions about sustainability. H.E. 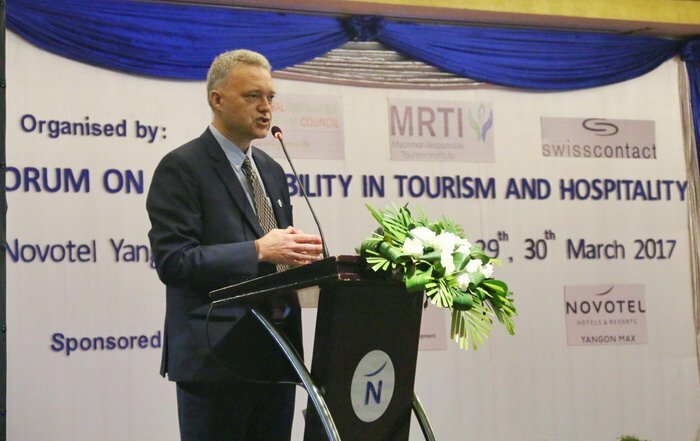 Mr. Paul Seger, Ambassador of the Embassy of Switzerland in Myanmar as well as U Ohn Myint, Deputy Director General, Directorate of Hotels and Tourism (MoHT) attended the first day of the Forum and delivered remarks to highlight the importance of the event in promoting sustainable practices in Myanmar. 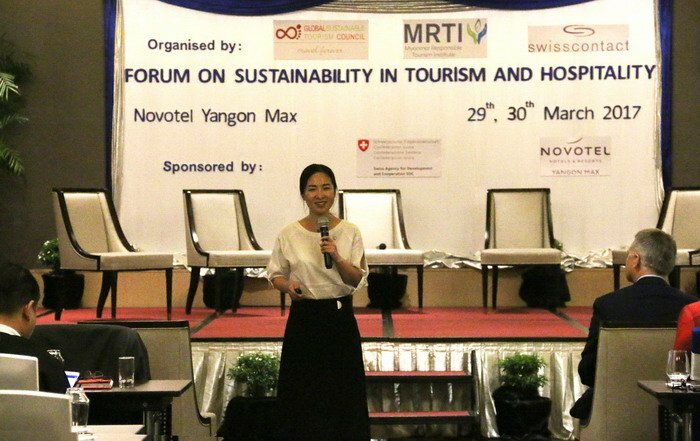 More than 160 representatives from hotels, officials from MoHT, key associations from the Myanmar Tourism Federation, development partners and community based stakeholders that are supporting sustainable tourism in the country joined this event. 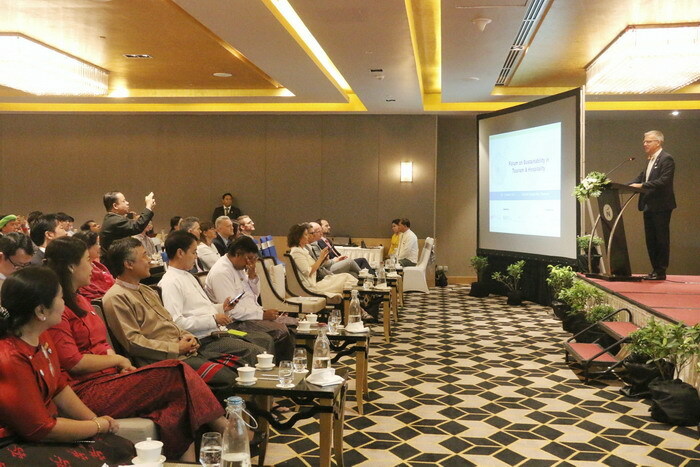 The first day of the forum was held in a conference style, where national and international experts shared their experiences and discussed the implementation of sustainability practices in their respective destinations. On the second day, GSTC-certified trainers delivered a full-day of training for hoteliers and tour operators on the GSTC criteria. Swisscontact is the business-oriented independent foundation for international development cooperation. Represented in 34 countries with over 1200 employees, it promotes – since 1959 – economic, social and environmental development. 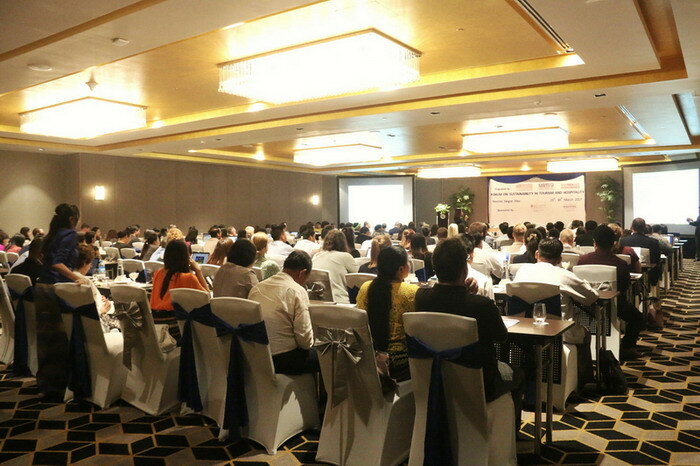 In the Mekong region, Swisscontact is engaged in Lao PDR, Myanmar and Cambodia. 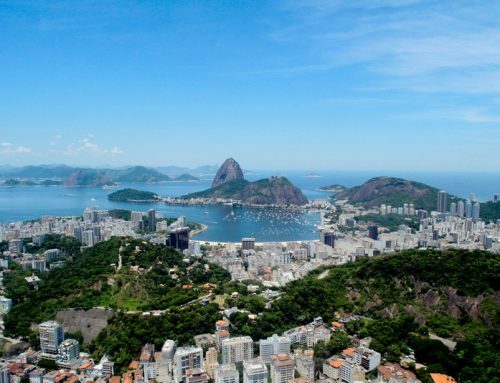 All three countries are characterised by a comparably young population with millions of job seekers entering the labour market every year, as well as by good progress in terms of poverty reduction. Swisscontact’s portfolio therefore tries to facilitate people’s access to markets, to strengthen people’s skills and contribute to their employability, while ensuring an efficient use of natural resources and by mainstreaming gender equality throughout its programmes. The Myanmar Responsible Tourism Institute (MRTI) is a non-profit organisation aiming to support responsible tourism development in Myanmar through knowledge sharing, training, and research. With the goal of creating a knowledge sharing and training centre that works towards responsible tourism in Myanmar, MRTI supports research projects in the field and organizes education and training programs related to responsible tourism, destination management, heritage and cultural management, corporate social responsibility (CSR), methodologies and multi-stakeholder meetings.